Well here goes the first thoughts. 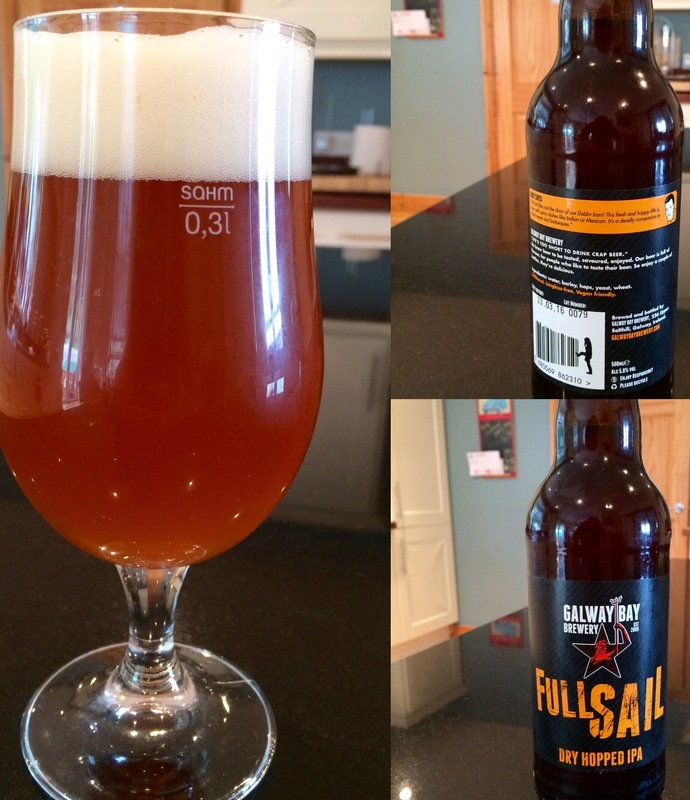 Fullsail is an American style IPA with an ABV of 5.8%. The hops used are of American origin, Colombus, El Dorado and Cascade. Appearance – It has a cloudy golden appearance and a bright white foamy head. The persistence of the head is average for this style of beer. Aroma – It has a strong hoppy tropical fruit/citrus aroma which is very pleasing. Flavour – It has a strong citrus hops flavour. Bitter marmalade and burnt sugar are also apparent. Mouthfeel – Slick with a medium lively carbonation. Finish – Bitter dry finish with lingering hops. …….. but did you like it?! Sorry I left off the overall section.